A couple of weeks ago I shared my favourite books from 2012, so I thought it would be an equally good idea to single out the blogs which have captured both my attention and imagination this year. You’ll notice the blogs I’ve selected have a social business focus. This is deliberate. It’s down to my belief that the arguments about the social brand e.g. using social for external activities (often marketing) have now largely been won. But, this victory has signalled the beginning of a new era. The era of social business e.g. using social for internal activities has been born. Organisations are now beginning to ask questions about using social tools to improve training, processes, internal collaboration, knowledge sharing and R&D. They are beginning to see it’s no longer about ‘doing’ social, it’s about ‘being’ social. I had the pleasure of working with David Armano at Edelman Digital and he truly is a thought leader in the social business space. He’s leading the charge at Edelman and I expect much of his thinking to become the industry benchmark. Take a look at his blog for fantastic ideas on social business planning, as well as best practices, decision-making templates and processes. His blog is a winning combination of high level, big picture thinking and detailed, practical considerations. This agency have been talking about and defining the parameters of social business right from the start. This blog really is a tremendous resource for anyone looking to understand what social business is and where it’s going. From social business implementation to measurement and everything in between, there’s a good chance Dachis have already penned a thought provoking and insightful blog post on it. Technology has undoubtedly changed the way we communicate with each other, brands and institutions. Nobody quite knows what the next truly disruptive technology is going to be, but the Forrester blog can help navigate this uncertainty. The blog offers up fantastic insights, reports and research on emerging technologies and how they are going to impact the status quo, be applied to businesses and generate value. IBM have an outstanding blog that is contributed to by an army of employees who are busy sharing their experiences, posing questions and offering genuine insights into the successful deployment of social business. IBM is a fantastic social business case study and the opportunity to read how it happened by both management and employees is hugely valuable to anyone wanting to know more about this discipline. A large part of my current role involves SEO, so the SEOmoz blog really has been an invaluable resource in 2012. The importance of SEO cannot be underestimated, but from my own experience, there is an alarming SEO knowledge gap within many agencies that must be be filled. Aside from that the vast majority of my SEO queries have been answered via this blog. If you’re interested in SEO (and in my opinion, every digital marketer should be), do yourself a huge favour by subscribing to this blog and SEOmoz Pro. 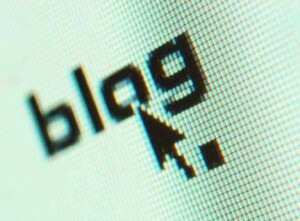 What have been your must read blogs in 2012?